Putting a stop to scars before they for may not be as tough as you think. You might have the remedy you need in your own kitchen. Many things that you use in your everyday life could be helpful in warding off the progression of unsightly scars. If you have scars already, those same at-home remedies can help treat your scars. Some things you may have on hand are baking soda, olive oil, and vitamin E.
Vitamin E is a natural antioxidant. It could actually help prevent the scar from forming if used several time a day. Vitamin E is often used to aide in growth failure because of its ability to heal tissue promoting the growth of new, beautiful skin. Massaging the vitamin E into the skin opens up the dead cells to allow new cells to form. By simply mixing together water with baking soda, you can cheaply and easily make a natural exfoliate. Exfoliation is key in treating scars because it removes the oldest dead skin on the top layer of the skin. Once the dead skin is removed, the derma will be able to breathe, allowing new healthy skin to rejuvenate. This will help to naturally flatten the scar as well as reduce redness and swelling. Although extremely effective, exfoliating can cause dryness in the skin. That is why it is important to keep the scar moisturized. Do this at least twice a day, followed by moisturizing. Olive oil is often used in soaps, lotions, and other cosmetics. Olive oil is believed to play a significant role in many health benefits because of its monounsaturated fatty acids. Only a small amount is needed. Just take about a tablespoon of olive oil and massage it gently into the scar with your fingertips, followed by placing a hot wet wash cloth over the area. The olive oil paired with the steam of the wet rag will soften the skin, allowing for easier removal of the dead cells. When rubbed into the skin after exfoliation the olive oil deeply penetrates to provide a regenerating effect. Microdermebrasion has become a common form of skin therapy used to mechanically exfoliate the outermost layers of the skin. 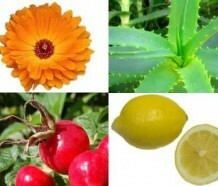 This helps to reduce scar tissue which promotes healthy re-growth. This process will often have to be done several times over the course of many months. Over exfoliating can cause severe dryness so it is important to moisturize often. To increase the collagen and elasticity in the skin, it is best to use creams which are high in vitamins A, C, and E. At home microdermabrasion treatments can be purchased fairly cheaply, but for larger areas of skin professional attention should be sought. If you’re considering laser removal to rid yourself of scars you should first consult your dermatologist since there are several types of lasers on the market. Many people argue that laser treatment is the best type of surgical removal because penetration depth is better controlled than with a standard operating scalpel. For smaller scars the entire procedure only takes a few minutes, but it is still very costly. Laser treatments can cost upwards of $3000, depending on the size and placement of the scars.